ESF is ranked No. 2 in the 2018 Top 50 Green Schools list put out by the Princeton Review. The list is part of the Princeton Review's "Guide to 399 Green Colleges" which profiles colleges that have been identified by the education services company as having the most exceptional commitments to sustainability out of several hundred institutions. The schools were selected based on their academic offerings, campus policies, initiatives, activities and career preparation for students. 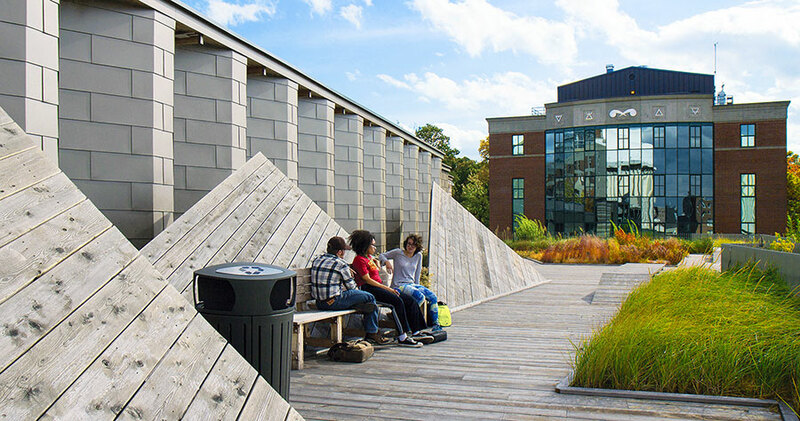 Princeton Review said the schools on the Top 50 Green Colleges list "share superb sustainability practices, a strong foundation in sustainability education, and a healthy quality of life for students on campus." ESF is also a "featured" college on the Princeton Review website, which provides readers with additional information and photos of the college. "We are pleased that the Princeton Review acknowledges our sustainability efforts, but we recognize that there is still much work to be done. We strive to continually improve our operations as sustainability is a never-ending process," said Mark Lichtenstein, ESF chief of staff and chief sustainability officer. Lichtenstein thanked ESF faculty, staff and students for their combined efforts, in particular members of the ESF Sustainability Committee. And he thanked the College's Office of Sustainability, saying, "This team includes staff, and undergraduate and graduate students. They deserve all the credit for this. I'm so honored to be working with such a dedicated group of people, especially our students, who expect nothing less than perfection when it comes to sustainability."